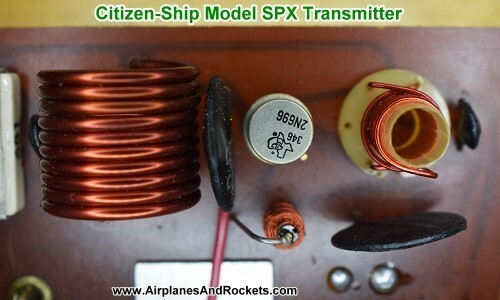 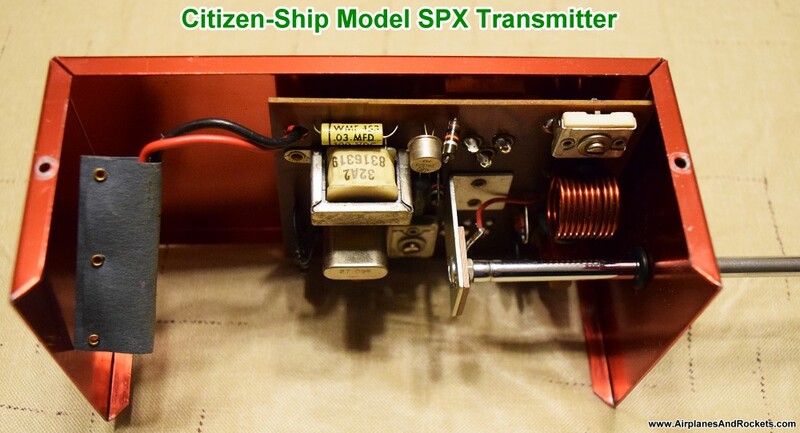 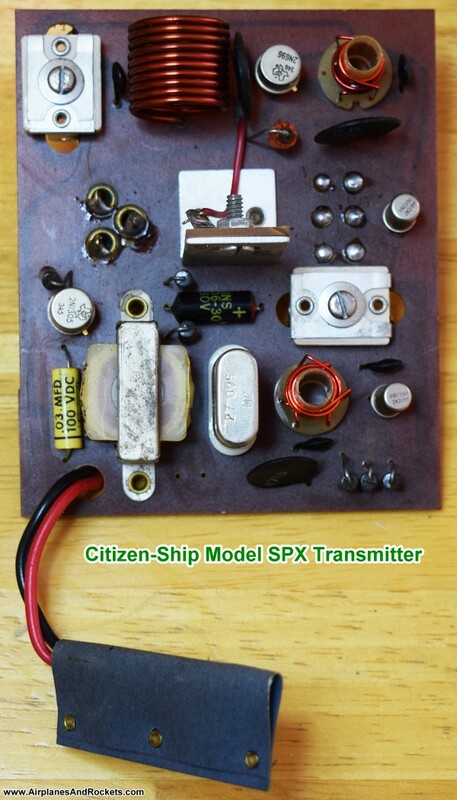 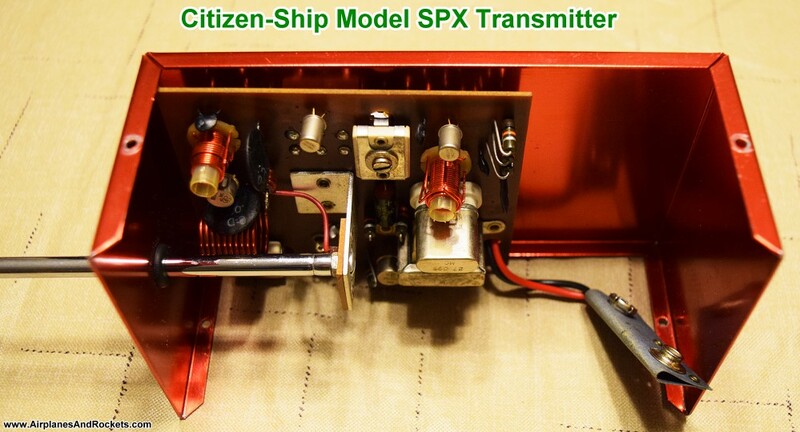 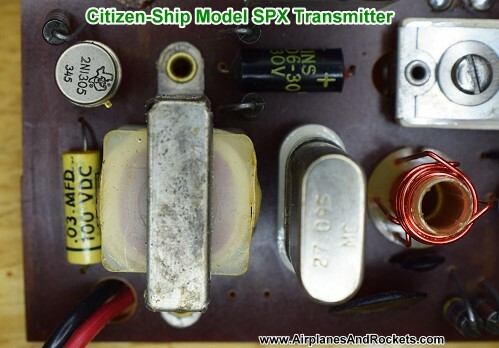 My very first radio control system was a single-channel Citizen-Ship Model SPX like this one I bought on eBay. 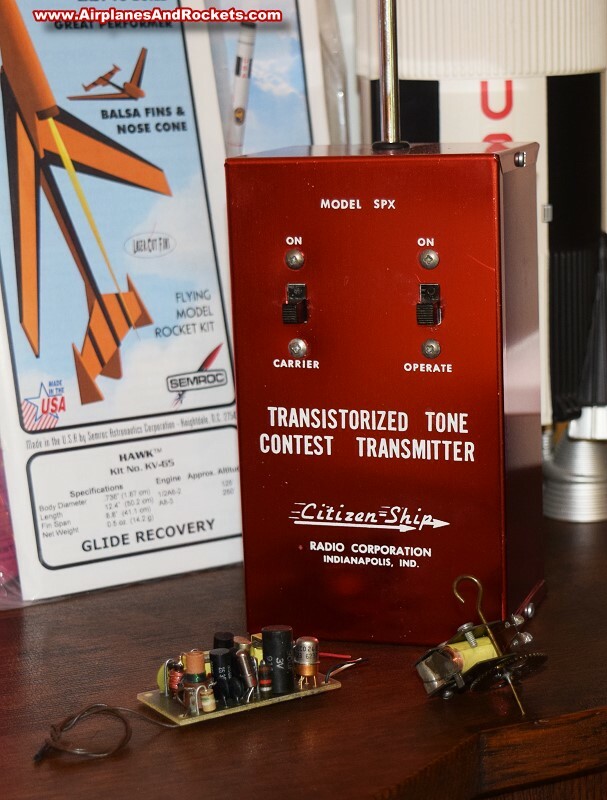 I stupidly sold my original, which was in mint condition and still in the box many years ago, this example is in used condition, but still looks pretty good. 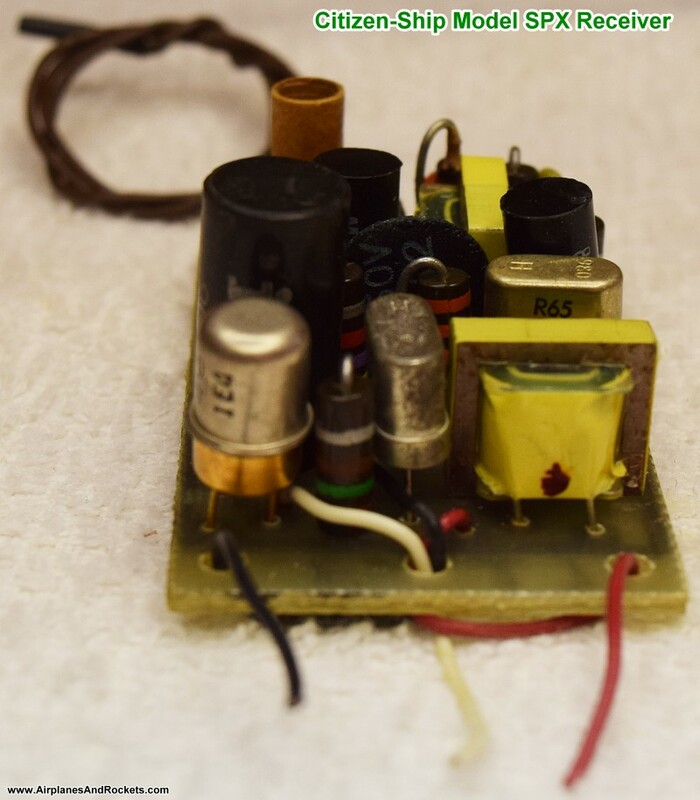 A little isopropyl alcohol and 409 cleaner did a nice job of cleaning the 'used-ness' off of it. 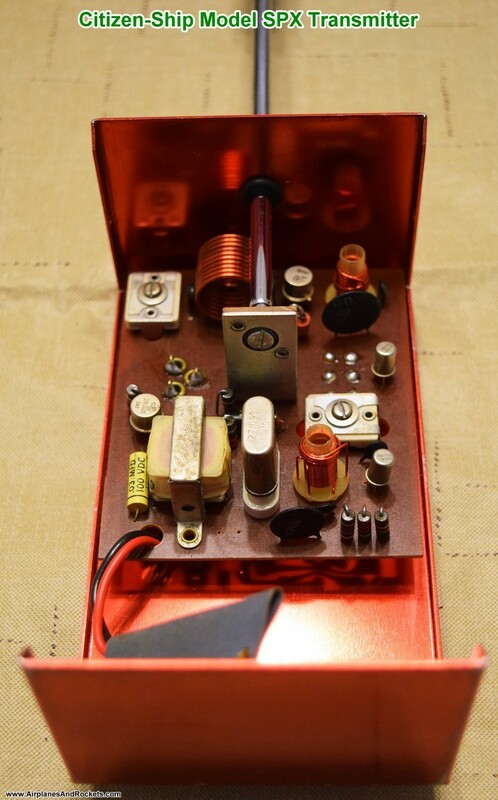 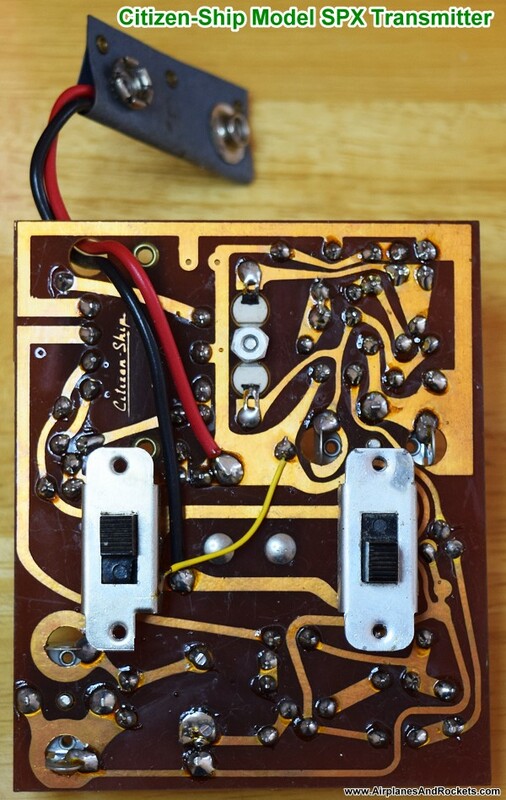 This was one of the first transistorized production radio systems which, along with other such systems, prompted a lot of people to get into radio control since cost, size, weight, and complexity were greatly reduced. 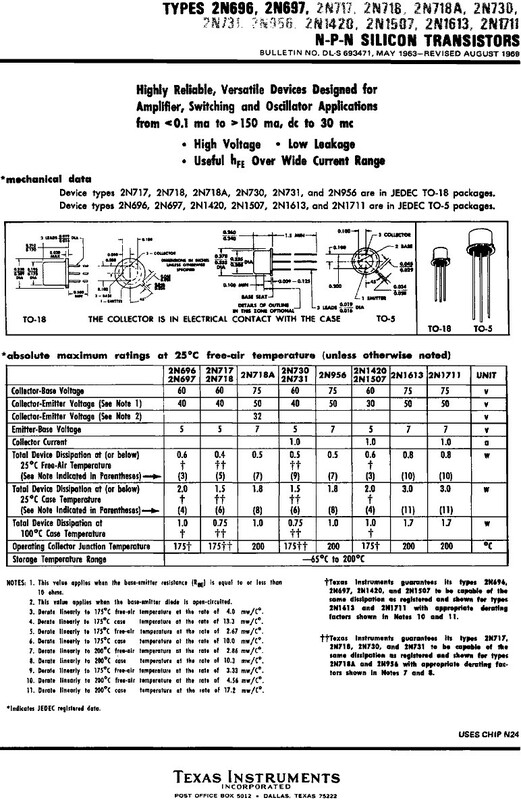 Much greater immunity to vibration and electrical noise effects made reliability much better as well. 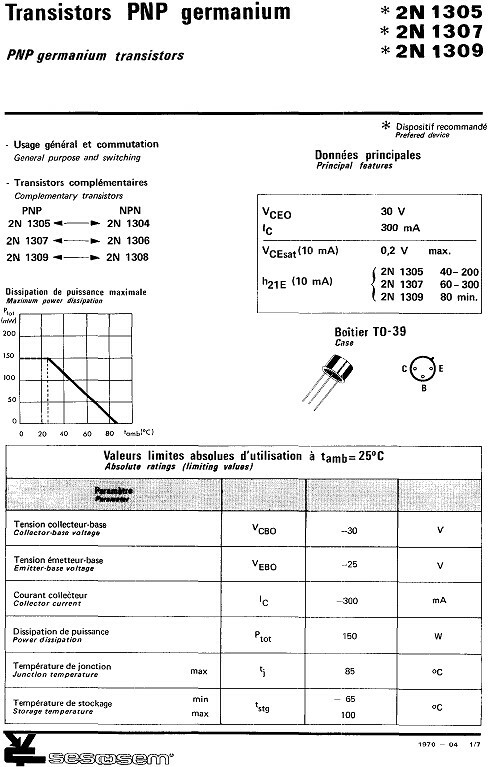 Four transistors are used in the transmitter: a Texas Instruments (TI) 2N696 and a TI 2N1305, and two 2N2188s. 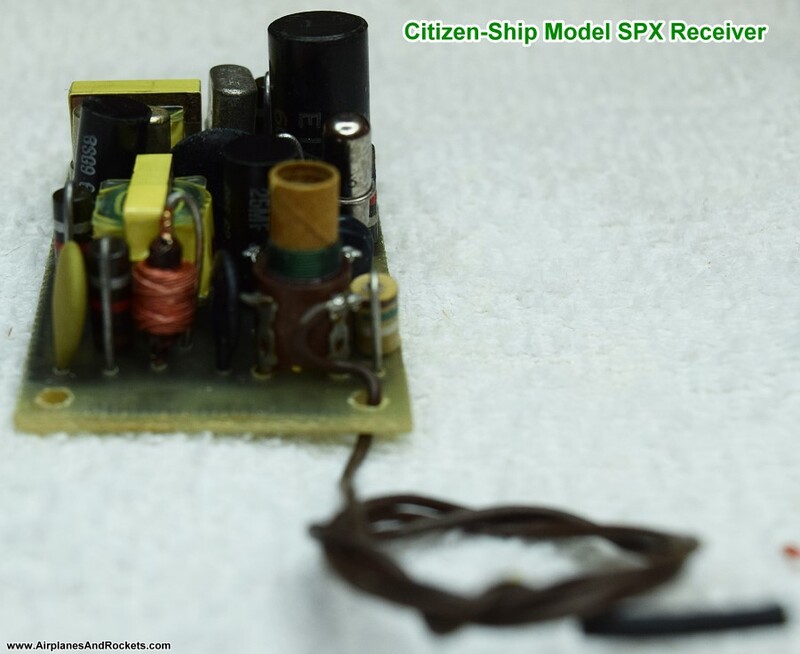 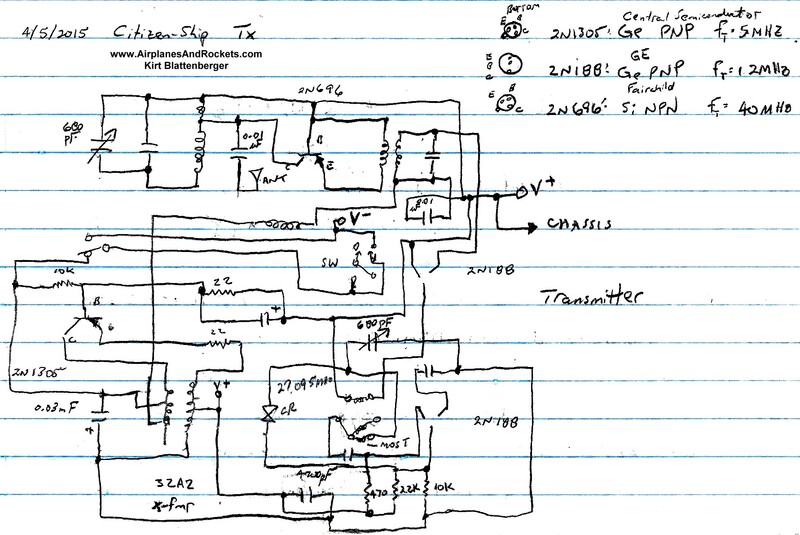 The 2N696 is a silicon NPN type, the 2V1305 is a germanium PNP type, and the 2N2188 is a germanium PNP type. The receiver uses a Philco 2N260 silicon PNP transistor and a Philco 2N261 silicon PNP transistor.